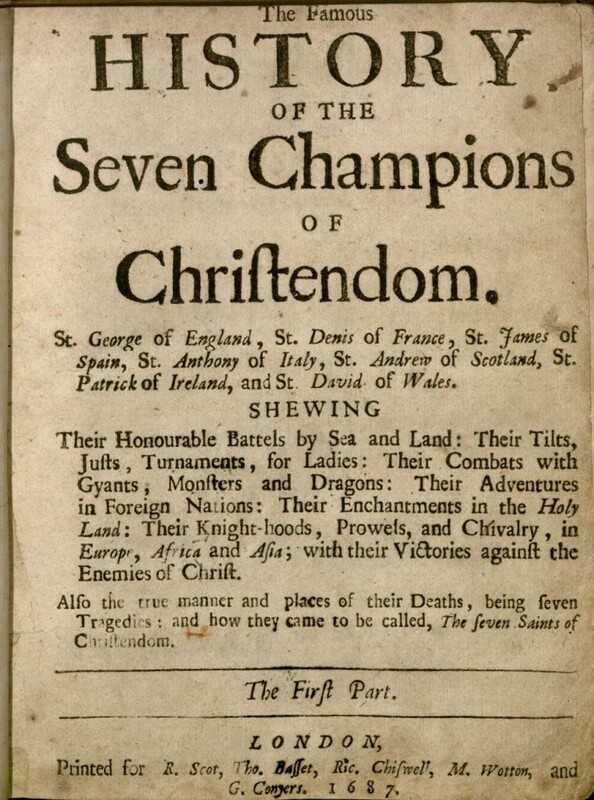 Richard Johnson’s 1596 The Famous History of the Seven Champions of Christendom, though far from great literature, held a special place in Samuel Johnson’s heart. Johnson learned to read from this popular and oft-reprinted tale as a child in his father’s bookshop, and recommended it for young readers over the moralizing children’s literature fashionable in the late 18th century. Houghton is very pleased to have acquired Johnson’s copy of The Seven Champions, adding to our substantial collection of books from his library. 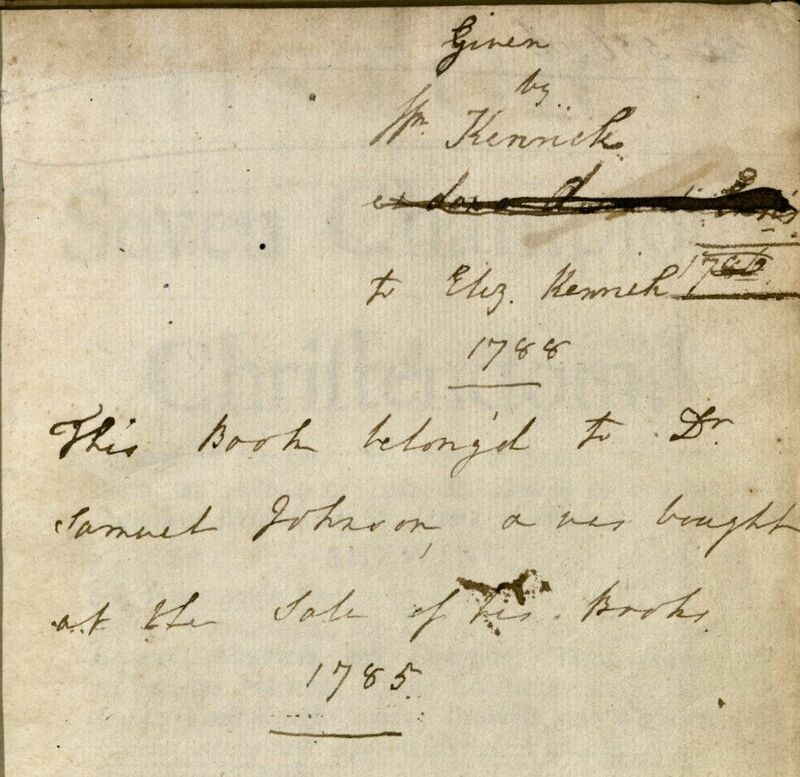 Like most of the Johnson books in our collection, this volume does not bear Johnson’s signature, but rather has a contemporary inscription attesting to its purchase at the 1785 auction of Johnson’s library.